If you have never used a facial oil on your skin, you are missing out BIG time. I get many compliments on my skin, and I attribute it to using facial oils. I have been alternating between three different oils for the past two years. It’s not easy finding the right oil for your skin and one that you like using. I am very particular about what I put on my face. The products I use can not contain Parabens or Phthalates. I do extensive research on the products I allow to touch my skin and body. I have an extensive beauty ritual when I apply oils. I love the way they make my skin feel both in the morning and the evening. 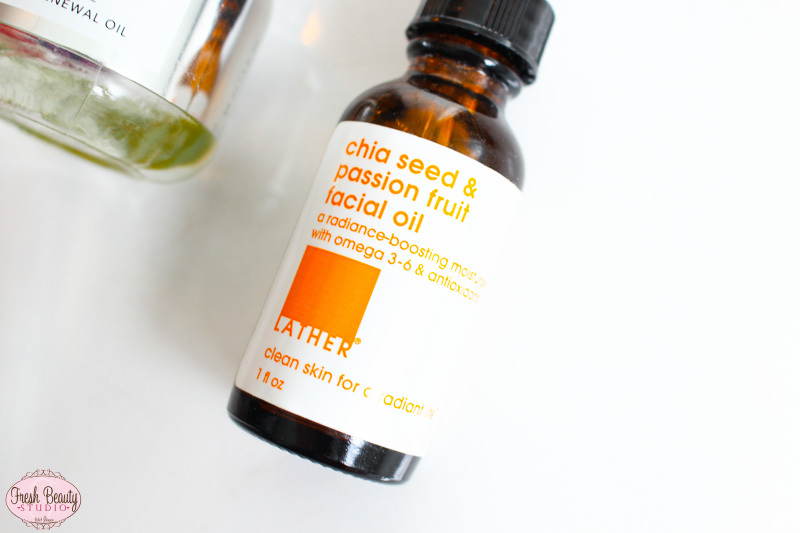 I was introduced to the Chia Seed & Passion Fruit Facial oil by Lather last year. This oil contains organic chia seed oil, one of the richest plant sources of moisturizing and soothing omega-3 alpha linolenic acid and packed with antioxidants. Combined with passion fruit seed oil (aka maracuja oil), abundant in hydrating omega-6 linoleic acid and antioxidant vitamin C. Grape seed oil, rosehip oil, and Tahitian monoi oil deliver additional moisture and antioxidant protection with Vitamins E and A and Lycopene. How is that for some superior antioxidant power? 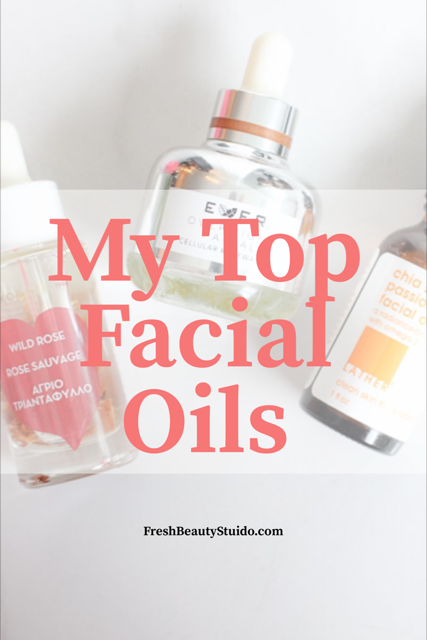 The Chia oil is one of my go-to facial oils because it doesn’t have an overpowering scent. I find it very relaxing and nourishing. 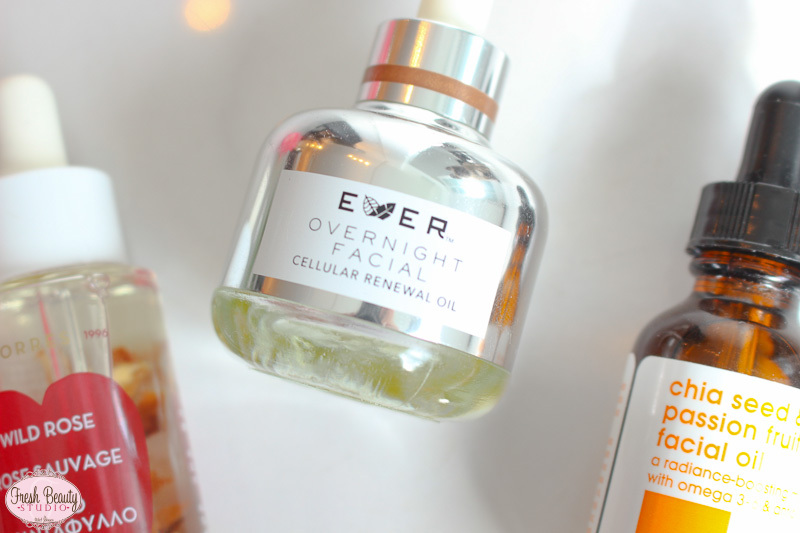 EVER Skin Care’s Overnight Facial Oil I found at the beginning of this year, I alternate between the other oils during the week. You might have seen my video reviewing the entire collection of EVER skin care if not you can watch it here. EVER’s oil is not only packed with antioxidants but also with Retinol. Retinol is the #1 Dermatologist recommended anti-aging ingredient and is highly effective in visibly improving the signs of aging. Cellular Renewal Oil is the first product to combine clinically proven tetrapeptide and a highly potent form of retinol in a nourishing base of botanical oils and essential omega-3 fatty acids for dramatic skin repair. When used at night, this highly effective, yet gentle formula will replenish essential moisture, smooth the appearance of fine lines and wrinkles, reduce pore size and boost radiance. You wake up to visibly younger, firmer, smoother and brighter looking skin. I auditioned for a beauty expert on HSN for KORRES this past summer; I wasn’t that familiar with the brand, so I went out to Sephora and bought a couple of products that were on my casting list to review and be able to present on camera. One of the products was the Wild Rose Vit C Brightening Oil. I honestly could smell this oil forever! I am totally obsessed and just bought my second bottle last week. As you can see, I am repurchasing these products which for a beauty blogger typically doesn’t happen unless I am totally smitten. KORRES facial oil will surprise you, it feels like a serum compared to an oil very silky. It’s not greasy and absorbs into the skin immediately. The best is this oil is a brightening oil (can I get a high five) not only are you hydrating your skin and getting a gorgeous glow but you are brightening your skin with the powerful vitamin C. My skin looks and feels incredible since using this oil. 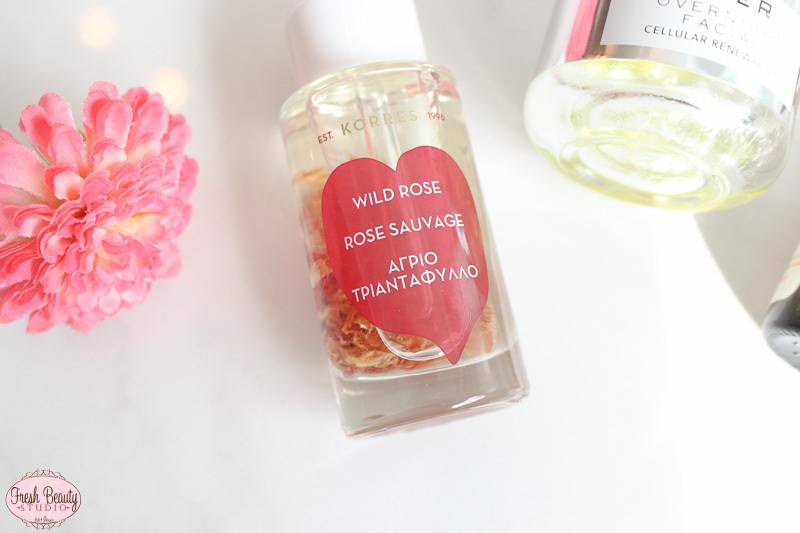 I have a couple of other favorites from KORRES that I will be featuring next month. This brightening & anti-aging oils has real rose petals in the bottle paying homage to the traditional wild rose oil ingredient that started it all. The Wild Rose Oil does not contain Phthalates, Parabens or Sulfates. 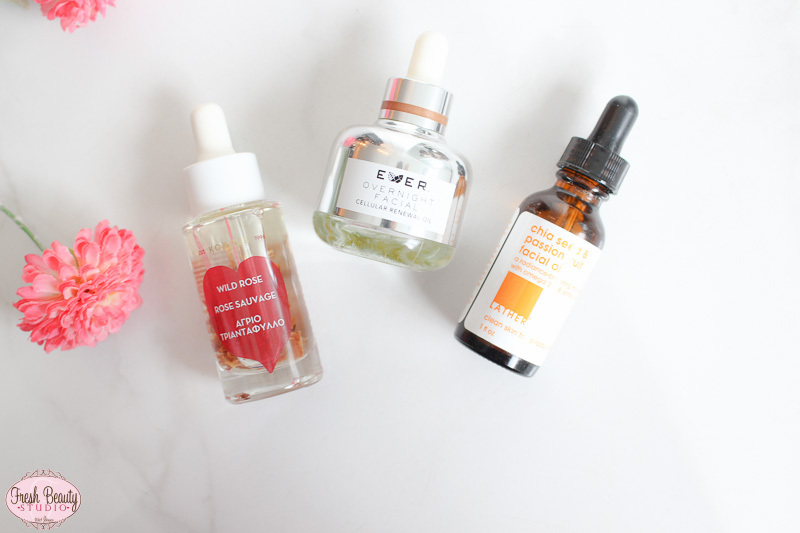 My little round up of facial oils that you can feel good about applying to your skin are worth the investment. Do you have a favorite facial oil? Let me know in the comments below. I hope these Anti-Aging Oils for Women will help you decide. I am not over 40 but I love the new Estée Lauder ANR ampoules (which are basically single-use oils in little capsules).